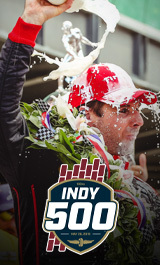 Don't forget your pre-paid reserved parking spaces on Miller Lite Carb Day on Friday, May 24. Purchase your pass today and guarantee yourself a spot. To purchase ADA Parking or for questions regarding ADA, please contact the IMS Ticket Office at 317-492-6700 or ada@brickyard.com. Parcel B (located outside of Gate 1, adjacent to roundabout) auto parking pass. One per vehicle, not per person. Does NOT include Gate Admission. Lot 2 auto parking pass. One per vehicle, not per person. Main Gate auto parking pass. One per vehicle, not per person.